When you are running a business it can be very easy to fall into the trap of having the business run you. Don’t be that guy or gal. Instead, organize your business tasks and never miss another important deadline, task, meeting or lead follow up. Many entrepreneurs utilize paper and pen for their reminders and task list however there are some incredible tools available online that integrate with your phone via apps and your desktop via software as well so that all of your important info and reminders are synced across your devices. One of the biggest advantages as well is that you can set reminders, recurring events, and even add team members to manage projects and tasks more efficiently. So what is this magical tool we are talking about? Well there are several on the market although one of our personal favourites is Todoist (https://todoist.com). We use a few other tools to help run our Ottawa marketing and website design agency and we will discuss them in the coming weeks and months to help you transform your business as well. 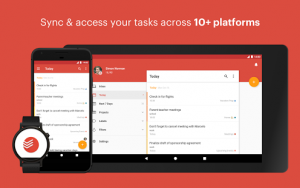 Todoist is one of those “I can’t live without this” tools that helps our team collaborate and share tasks, ideas, and events. There is a reason why our website design agency can complete a large website with e-commerce and custom features in only 3-5 business days when competitors were quoting 6-10 weeks. It’s because we have a killer development and design team as well as a systematized process with tools and resources that make our website design and custom coding 40x faster than the industry average. 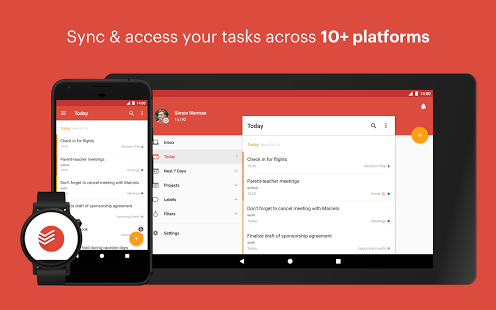 Happy organizing this year and be sure to checkout Todoist as it will help improve your day to day operations and keep you and your team on track. To deliver top results for our clients, we constantly push ourselves out of our comfort zone, and we will push you too so that your business can achieve outstanding results and growth. To make meaningful and effective changes in your business you need to step out of your comfort zone. Comfort zones are for mattresses. When looking for a creative digital marketing agency, you will often have to choose between a virtual team with no infrastructure and a big agency with many layers of bureaucracy. We offer a different model that allows us to be more effective, flexible and creative in delivering results for your business. Our agency is comprised of a network of independent partners with extensive expertise and a physical studio with full-time dedicated talent to provide the right solutions and campaigns within your budget and timeline.